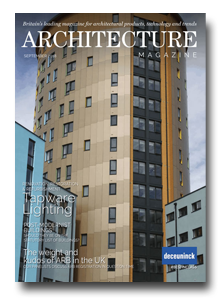 Architecture Magazine (formerly Architects Choice) has an upstanding reputation in the architectural and construction industry. As Media One’s flagship title, AM has a strong relationship with its readership and customer database and an undoubting position as a top product magazine in the industry. Well recognised within the industry, AM serves as an insightful information source, featuring lead stories on current projects, features on large scale projects, topical debates on worldwide subjects in building and design and industry happenings. AM readers have the opportunity to explore new and innovative product launches, industry news from their biggest competitors and keep up-to-date with the latest contracts and projects that are being undertaken in the marketplace. AM has an excellent relationship with its readers and advertisers, delivering a leading magazine in new products, technology and trends. Produced over pages of sharp editorial content, with top design delivery and demonstrating key market awareness, AM’s advertisers and readers alike can take confidence in our experience and ability in matching our product to the needs of the marketplace. With a cutting-edge design approach, informative written style and a clean product showcase, AM provides comprehensive product galleries and news pages, targeting the key decision makers within the construction and design sector and inspiring new decisions and ideas based on the current market trends. AM allows you to showcase your designs and deliver your sales message directly, with improved brand awareness, advertising response and an expanding customer portfolio. With a range of publications in and around the design and construction market, including Commercial Interiors and British Builder and Developer, Media One Communications provides its readers with on time, informative news across a variety of channels. From yearbook and magazine publications to a strengthening online presence, our evolution in the publishing sector has led us to be an industry leader in the product marketplace with a loyal customer base and dedicated reader relationship strengthening our stance in the sector.